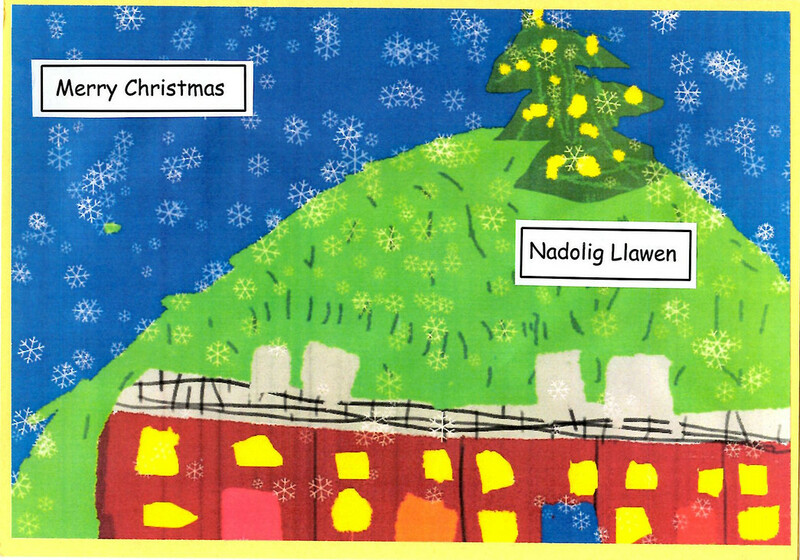 Carolyn Harris MP was delighted to hold a competition in Danygraig Primary School to design this year’s Christmas card. 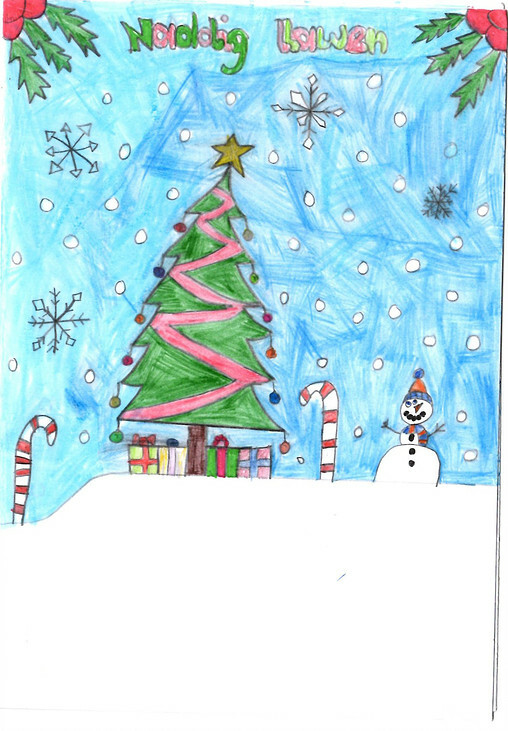 Designs came in thick and fast from all year groups including finger paintings, hand drawn Santas and even computer generated scenes from the more tech savvy youngsters. The whole office was involved in choosing the winner, a difficult feat when the competition was so strong and it was judged without knowing which class designed which card! 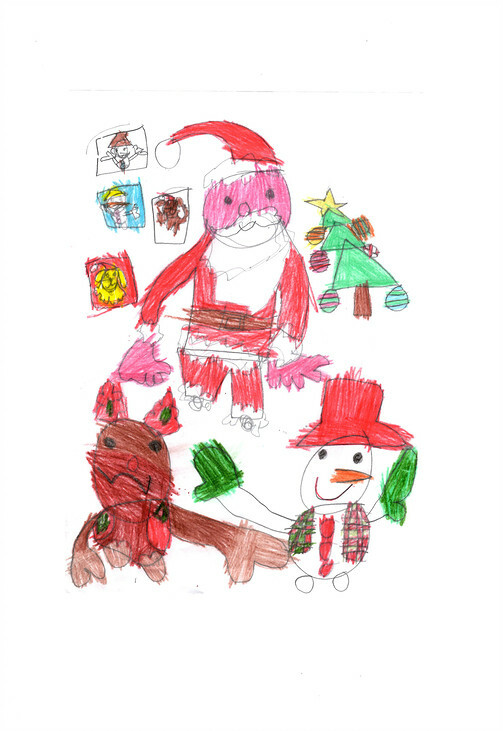 The winner was chosen in November and revealed this Monday at Danygraig Primary School by Carolyn’s office staff to be the children of the Specialist Training Facility. 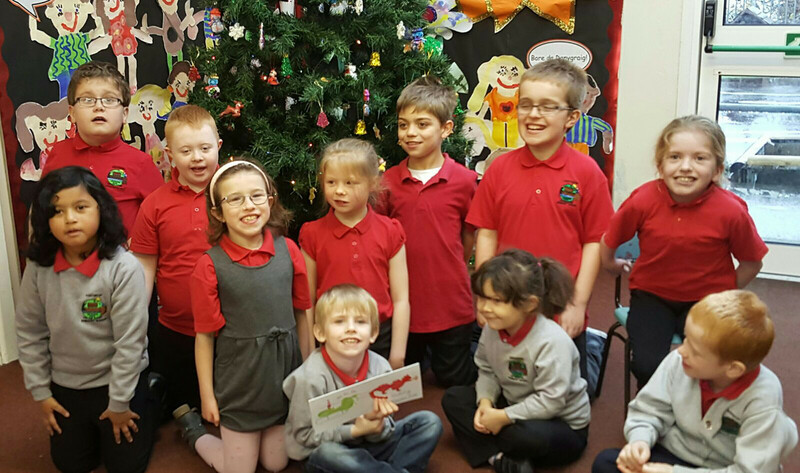 The winners were presented with a selection box each and copies of the card to give to family. 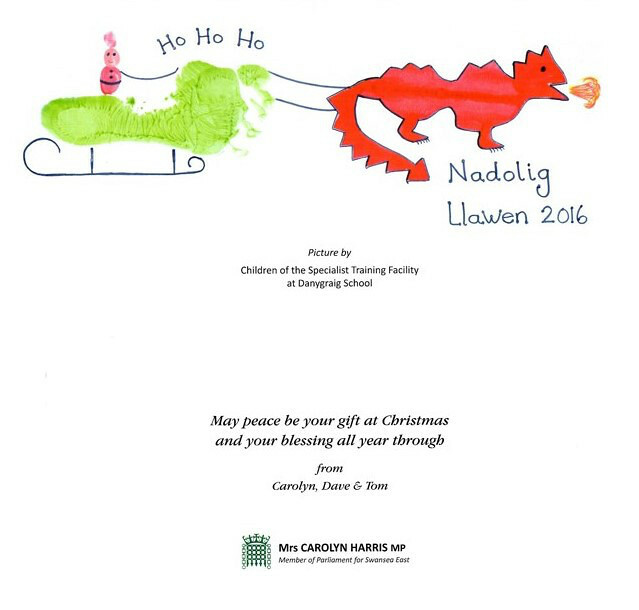 Congratulations go to the children of Danygraig, whose card will now start arriving through letterboxes this week including 10 Downing Street. 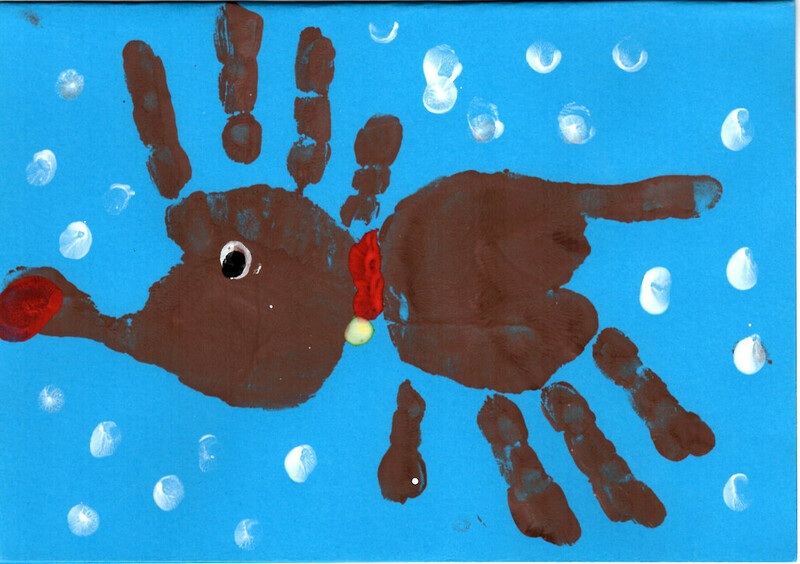 Mrs Harris said she was thrilled with the enthusiasm the children put into their designs. 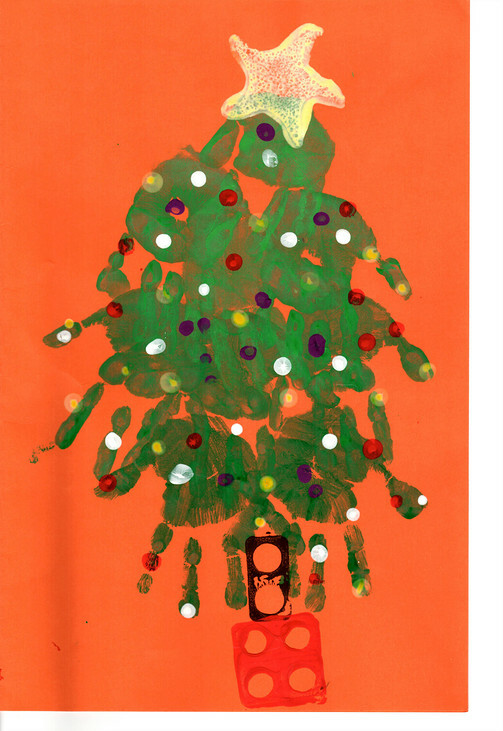 “All the entries are on display throughout my office so they’re all winners in my eyes! 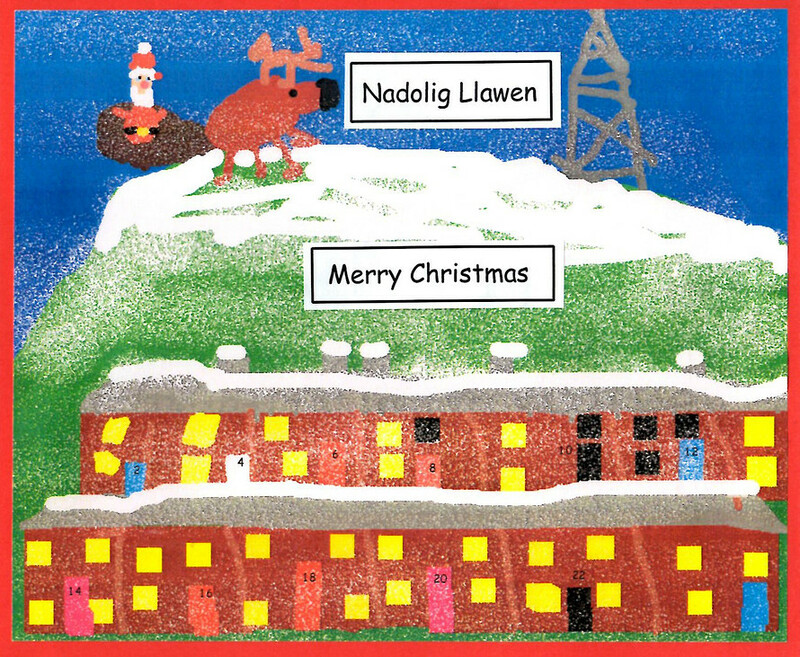 Congratulations to all of the pupils of Danygraig and I hope they have a very Merry Christmas”. Please click the images to see larger versions.